Have you heard of “digital signage”? The term refers to the electric signs you see spread across town. On the walls of buildings, the insides of stations, convenience store cash registers, indoors and out, we are practically buried under net-capable displays of all sizes. This form of new media is expected to grow up to a trillion yen industry. Because of this, it has been a full five years since the formation of the Digital Signage Consortium, and there are 100 member companies. I am serving as its president. In the beginning, these types of signs were called by many names, including “electric billboard,” and “out of home media,” but often were lumped together and vaguely referenced with the umbrella term “digital signage.” After all, some of them were neither billboards nor advertisements at all, and there were also many indoor varieties. It was an ill-defined type of media whose central concept had yet to solidify. In the few intervening years, this signage has undergone many great changes. These can be summed up as three Ps. The signage which has already spread throughout business facilities of all types has begun its advance into the home. Photo frames and tablet PCs with broadband connections, signage which makes it possible for information to reach directly into living rooms, are being turned towards use in commerce. Even signage which, unlike televisions, PCs, and cellphones, is switched on 24/7, has found a place in the home. Japan, with its high saturation of fiber optic internet service is a step ahead of the rest of the world in this regard. Signage is recognized as a form of advertising media. However, businesses do not use it exclusively as a means of advertisement. Even in ordinary offices, signage is being put to use as a way for employees to share information with one another. Moreover such signage is also proliferating in schools, hospitals, and public offices. Universities using displays to broadcast information about lessons as well as employment bulletins. Hospitals with screens informing patients when it is their turn in the examination room, or displaying information about dosage and payment amount. Municipal governments using signs throughout town to spread information about disaster prevention. There is a healthy possibility that such public uses could trigger a growth in highly signage which is placed so to visible to everyone. 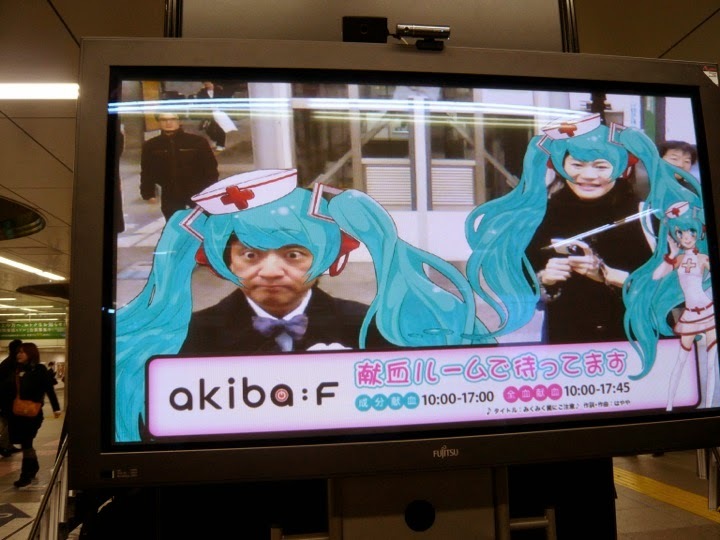 Japan serves as a unique model due to its status as the Pop-Culture Country. Signage on vending machines. Signage that interfaces with game systems, karaoke and pachinko machines alike. Eye-catching content featuring anime characters. We are, after all a country that uses washlet toilets, and signage is even being developed for the bathroom. It’s impossible to take your eyes of Japan’s evolving signage. I do agree with you. Digital Signage plays great role to deliver a large scale audience than using any other medium. Its easy to use and not very expensive. Well said! Its amazing that a digital signage can be turned into something mystical. Very nice. The mechanism which gave birth to Hatsune Miku.